Super Duper Excited to Introduce You to Michele! I have BIG news and I'm super excited to share it with you! As of January 1st, Michele White will be joining me here and writing every week. 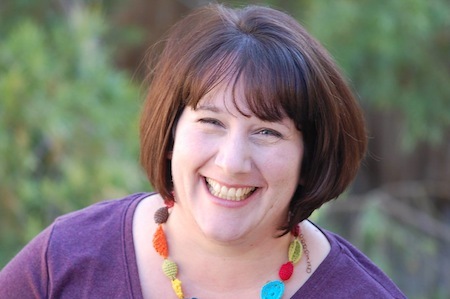 Michele has been around since Preschoolers and Peace was on the HomeschoolBlogger platform - yes! That long ago. And then she did something crazy: Michele emailed and asked to meet me in person as she and her family would be traveling in California, near our home. Eventually the Whites moved from New Zealand to a city just 90 minutes away from me, and they even bought our 12-passenger van a couple of years ago. Over Thanksgiving weekend, Michele and I met halfway between our homes at a Starbucks just off the freeway. I had been praying for direction about which way to take the blog now that the preschoolers in our home are growing up. I still have a huge heart for new moms and old moms trying to wrangle their way through homeschooling, and I knew I couldn't just pass it off to anyone. That afternoon as we sipped our coffee and chai, Michele asked if she might write for Preschoolers and Peace. I knew immediately that God was dropping a gift right into my lap! Michele is the mom of 5 who shares a heart for homeschooling moms who are struggling. She is also an adoption advocate and loves to encourage others to hospitality. Michele's in the thick of it with toddlers and preschoolers right now, so I know you'll love her heart and feel her pain. Read more about Michele on her Meet Michele page. But I'm not going anywhere! I'll be blogging on Preschoolers and Peace, too. I'll also be a few other places, such as HomeschoolingIRL, Kendra Fletcher.com, The Old Schoolhouse Magazine, and I Take Joy.